I have a “few” more block to do, but already now I love the colors and the design of this quilt. 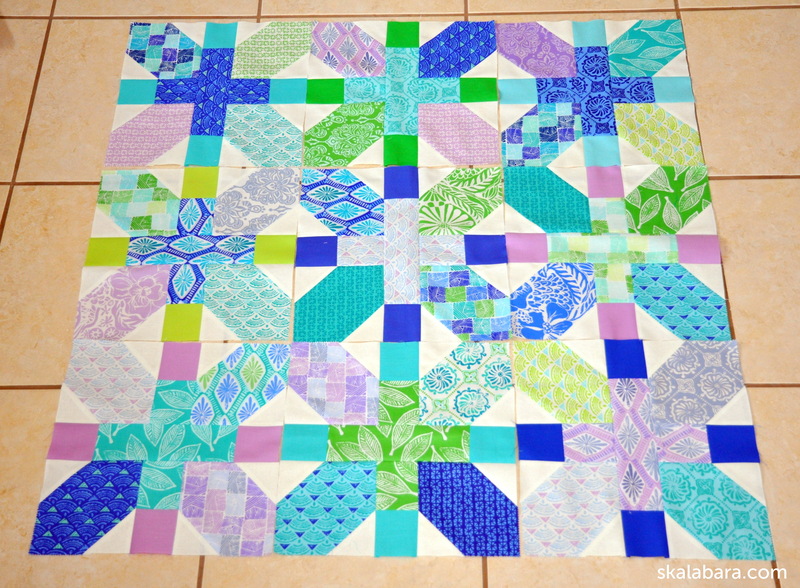 This entry was posted in blocks, patchwork, quilts, stash and tagged block, books, new stash. Oh, this is pretty! Those prints and the colours are simply gorgeous! You chose a lovely block for showing them off. Thanks for joining in the Let’s Bee Social, Barbora! lovely colors. Can’t wait to see it finished. 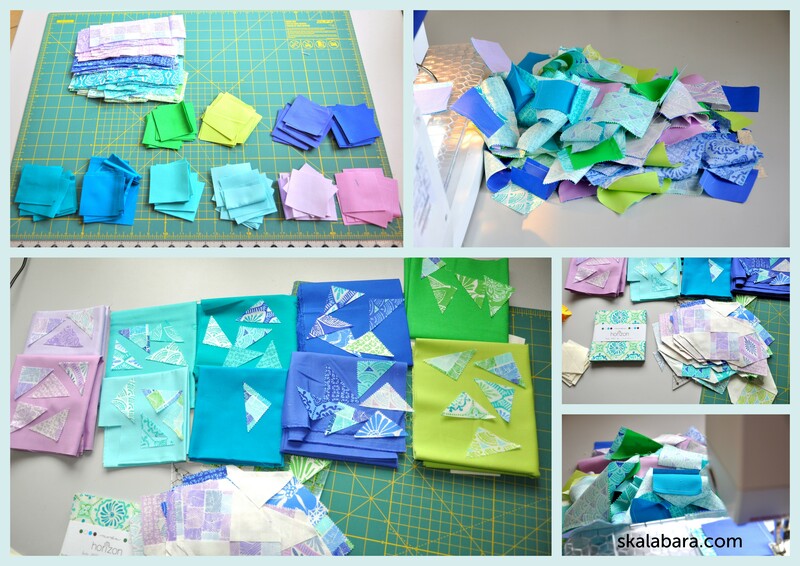 I really like the colors of this collection and I am eager to do some squares after the drunkard’s path! Nice palette. The dark blue really wants to dominate–you will have a challenge making it behave. 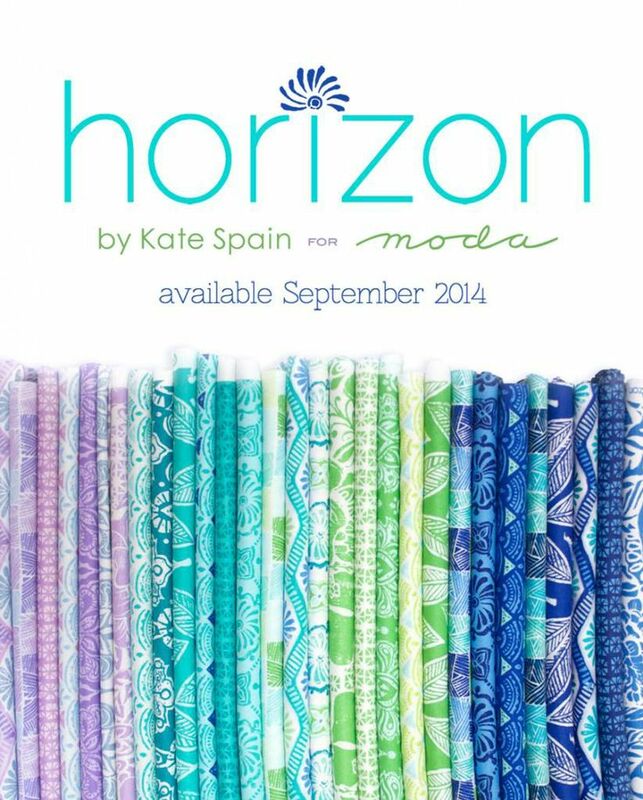 I love the colors and prints, and you are right–the pattern is perfect for them. You are so right with the dark blue. I’ll finish all the blocks and work afterwards on the final block layout. that’s always my approach too–even though I am eager to start setting blocks together. It pays to wait. Well, I just wanted to see the effect of the blocks so I laid them on the floor. I have another 30 to make and I’ll wait till they are all pieced! 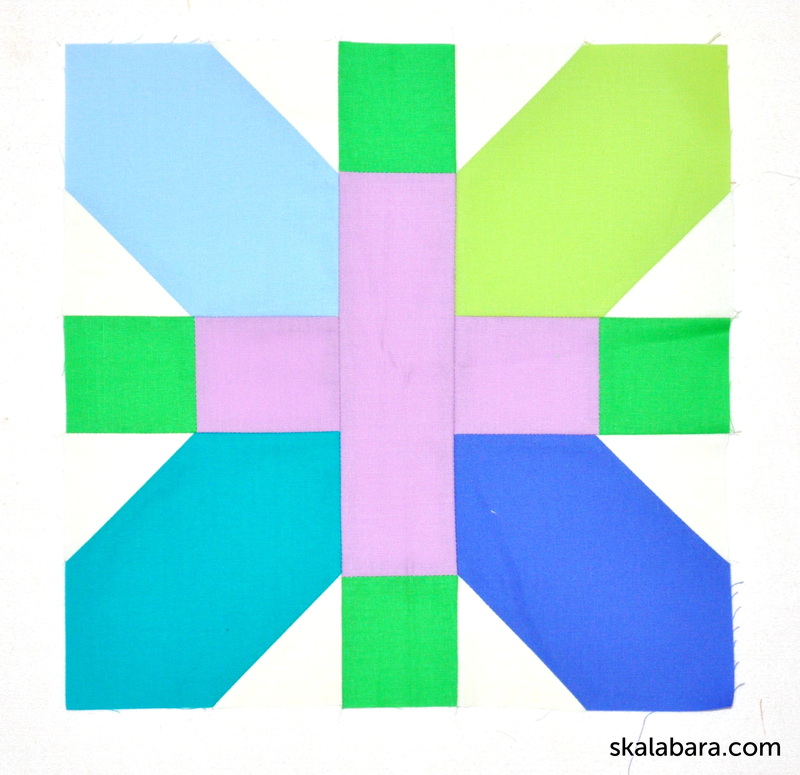 And patchwork and quilting is a lot about patience, I have learned that. Das sieht großartig aus… die perfekte Farbharmonie… wie machst du das bloß? Toll! It looks like it will be a lovely quilt. I asked my bee mates to make that block for me this month too!